Peter Dauvergne is Professor of International Relations at the University of British Columbia. Naomi Klein, author of No Is Not Enough and This Changes Everything. 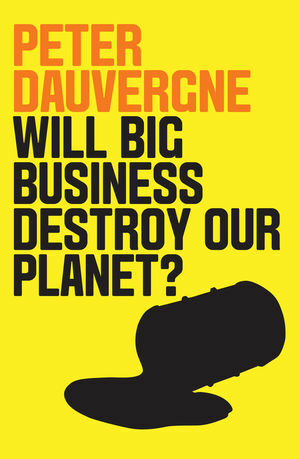 "Peter Dauvergne's book is so reasonably argued it is hard to believe his conclusion is so radical. Put bluntly, without growth corporations will die, so they must keep selling us more stuff. It is in the system's DNA. But the organism is now devouring its host, and we need a mutation — fast."